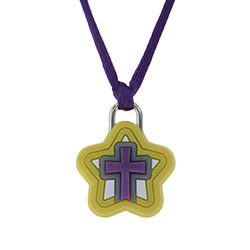 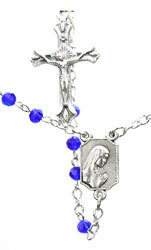 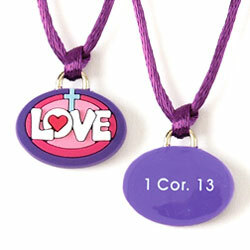 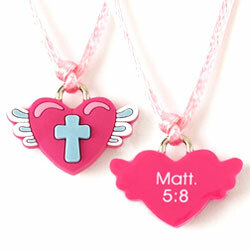 Christian Necklaces for Children | Cute, Affordable Necklaces for Kids! 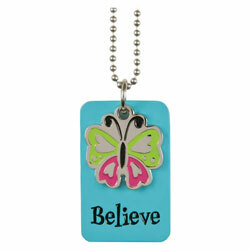 This dogtag reads: Believe. 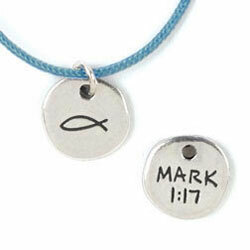 The Tag is blue with words on the front and back. 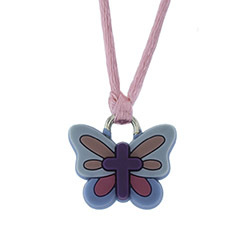 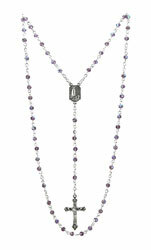 A separate butterfly charm is beautifully framed and makes this a unique and fun necklace. 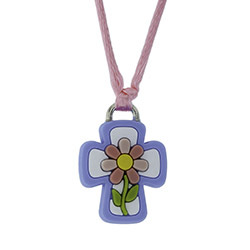 Baby's First Rosary- Amethist Of all Gods blessings big and small a baby is the best of all; a precious soul to love and raise, to guide and nurture in Gods ways. 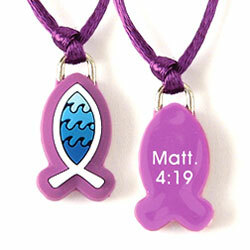 A precious life to shape and mold, whose tiny hands are yours to hold; a life entrusted to your care to bathe in love.